Your source for MHS News and Events! Ms. Vessar's 4th hour Oral Interpretation class recently performed adaptations of various fables by Aesop. They studied how to portray multiple characters in one performance. Watch Ryan Tolbert perform Aesop's the Mouse, the Frog, and the Hawk. Communication between home and school is extremely critical towards providing an effective instructional environment for our students. As we prepare for Parent-Teacher Conferences, we look forward to your insights regarding your student’s education and input about the school year. As a parent, you provide valuable information for your student’s classroom teacher to better address your student’s needs. Our teachers truly appreciate your support you give to your child in his/her education while at home. 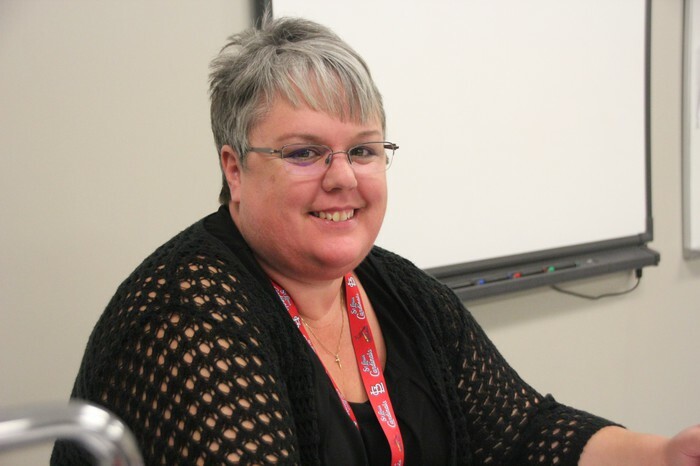 During your conference, your student’s teachers will be sharing information about district curricula, your student’s achievement, work habits, and peer relationships. Please feel free to write down any questions you may have for the conference. School Counselors and Administration will be available during both conference days to answer any questions. We look forward to meeting with you at our parent-teacher conference days. Although Parent-Teacher Conferences are held in October, we highly encourage parents to contact the school if you feel your child needs additional help. We will always make time for you; either through telephone conversations, e-mail, or face-to face meetings. In this regard, please contact your student’s teachers at any time throughout the year to arrange a conference. Stay up to date with what's happening at Moberly High School by following these accounts on twitter! Moberly High School has partnered with NextTier.com to help students plan their futures after high school. 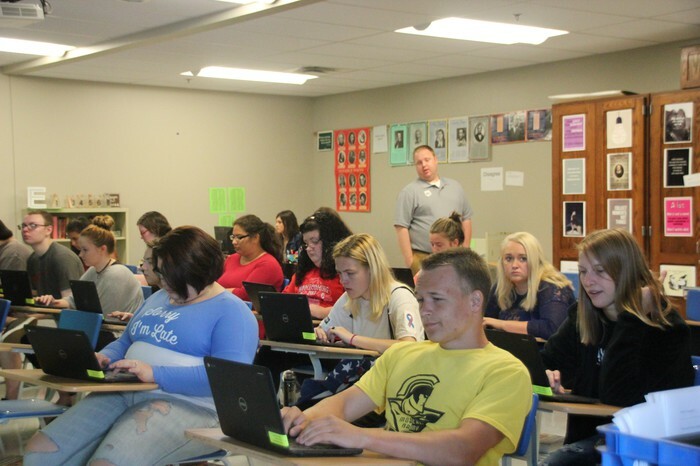 The Moberly High School counseling department will use NextTier with students to access information and create personalized task lists to help explore college and career options, navigate the admissions process, and find scholarships and financial aid. As a student or a parent, you can communicate and collaborate with your others on their post high school journey by using the NextTier platform. You can recommend colleges to your others, and bookmark careers and scholarships for later reference and referral. The NextTier app is available to download for free on the Apple store, as well as the Google Play store for use with your smartphone and/or tablet. There are no in-app purchases. You can also access NextTier using your personal computer. On Monday, September 25th, College and Career Readiness Coordinator Mr. Jones visited all Senior Language Arts classes to meet with students about NextTier. He helped students sign up for NextTier and showed them how to access the various resources that NextTier provides. 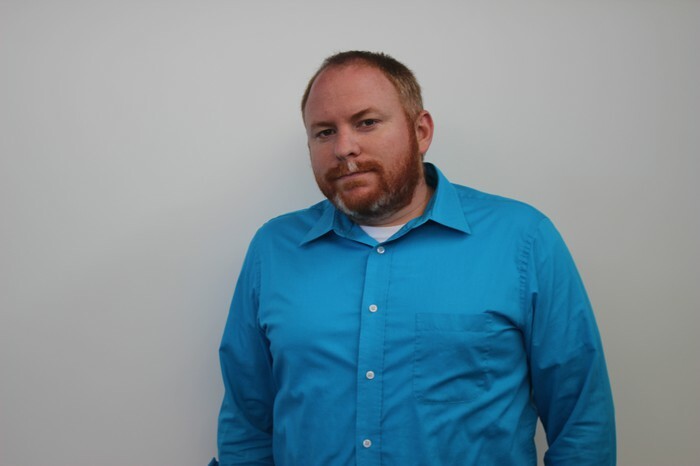 Next, Mr. Jones will meet with Juniors to introduce them to NextTier and get them involved in the program. 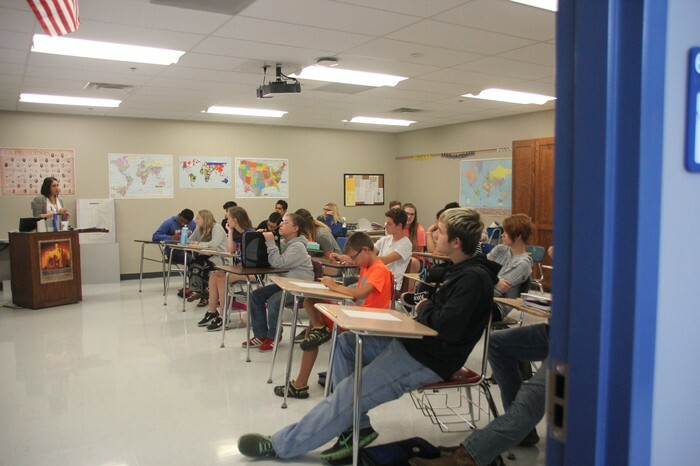 This past legislative session the Missouri General Assembly made the decision to discontinue funding the ACT test that juniors had been required to take the previous three years. 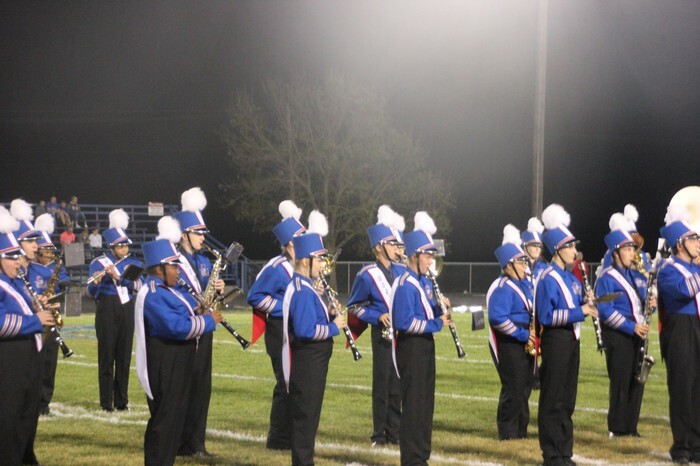 Moberly Public Schools believes that this test is valuable to the success of all students and has agreed to continue to offer the ACT at no cost to all juniors. MPS believes students who have the opportunity to take this test for free will be more college and career ready when they graduate from Moberly High School. Another advantage to offering this test to students is that it can be administered during the school day where students can feel the most prepared and comfortable. The date of this test will be Tuesday, February 27, 2018. Students who wish to take this free test will need to sign up in the counselor's office. If you have any questions or concerns, don’t hesitate to contact Moberly High School. Oct. 1 - FAFSA opens. Visit fafsa.gov for more information. Oct. 9 - NO SCHOOL, teacher professional development. Oct. 17 - College 10: A day for students and parents to learn some basics from colleges themselves! Financial aid, admissions, enrollment process, and first year expectations will be discussed. The following Saturdays from 8 a.m. to noon will be available for make-up days and must be arranged in advance. Students are responsible for obtaining missed work from their teachers prior to attending a Saturday make-up day. A student MUST stay the entire four hours in order to use this time. A maximum of 5 days can be recovered through Saturday make-ups. MAKE UP ATTENDANCE WILL NOT INCREASE A STUDENT’S ATTENDANCE PERCENTAGE. Make up time is available to maintain grades only. Please contact the high school office if you have questions about the MHS attendance policy. From Monday, September 25th to Friday, September 29th MHS participated in suicide prevention week. On Monday, MHS positive peers left positive and encouraging messages in the lockers of MHS students. Many students and teachers wore stickers that showed support for suicide prevention week. 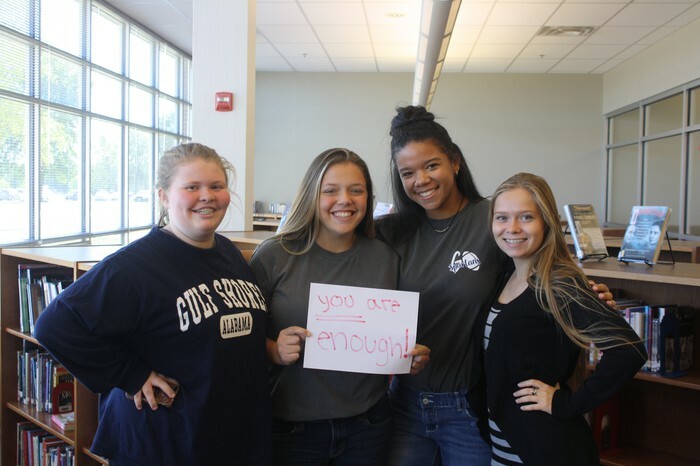 Monday and Tuesday Burrell hosted a table outside of the MHS cafenasium that offered mental health resources and information for students. Shout out to Positive Peers for helping to participate in Suicide Prevention Week. They did a great job in helping! Parent teacher conferences will be held Tuesday, October 17th, from 3:00 PM to 7:00 PM and Thursday, October 19th, from 2:00 PM to 6:30 PM. World teacher appreciation day is coming up on October 5th. The MHS counseling office will be hosting a caramel apple bar for staff members at MHS. 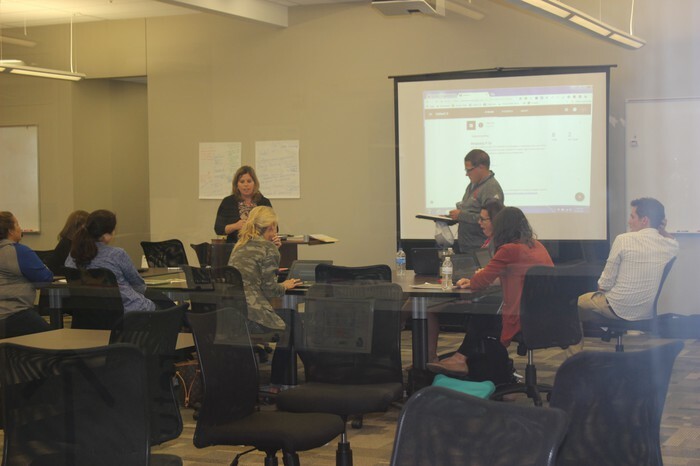 Thursday, September 21st, several staff members at MHS participated in technology training. They learned ways to enrich their lessons with the new Chromebooks they received at the beginning of this school year. Freshmen Student Senate elections were held Thursday, September 28th. The following students were elected to represent their class for the 2017-2018 school year! 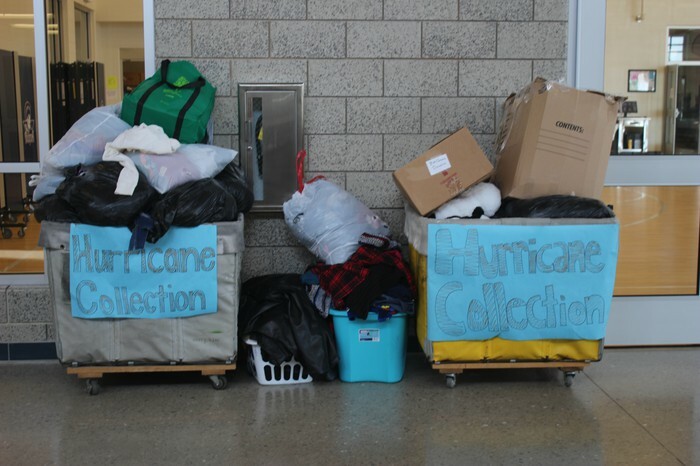 For several weeks, the MHS Interact club has been collecting items for the hurricane victims in Texas. They have collected a wide variety of goods to support these victims, such as packs of water, clothes, and home necessities. The club will then give these items to Central Christian Church, who will them distribute them to the hurricane victims. The MHS cross country team has had a very successful season this year, with many runners taking home individual medals and the girl's team taking home several team awards. The girls have been running really well this season, taking 1st place at the Chillicothe meet and Linn invite. 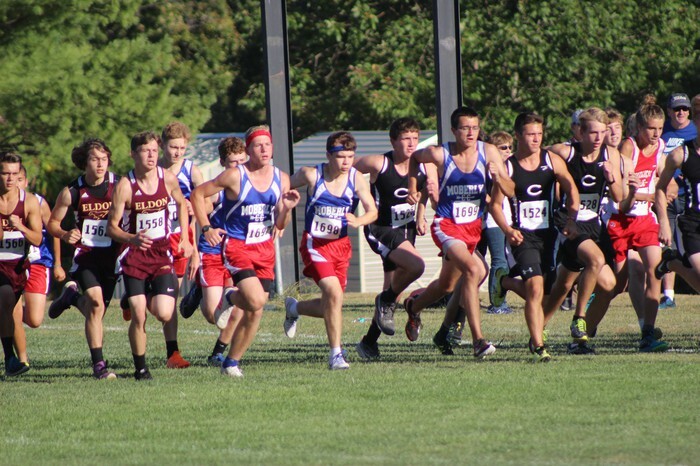 They took home 2nd at the Moberly invitational, and placed in the top 10 at Quincy and Fulton. They're ready to run really well at districts, which will be hosted here at Moberly on October 28th. The boys have also had a really strong season. Alex Fincher has taken home several top 5 medals at the meets he's run in. Nic Lindsey has also been doing very well this season, along with the other boys on the team. 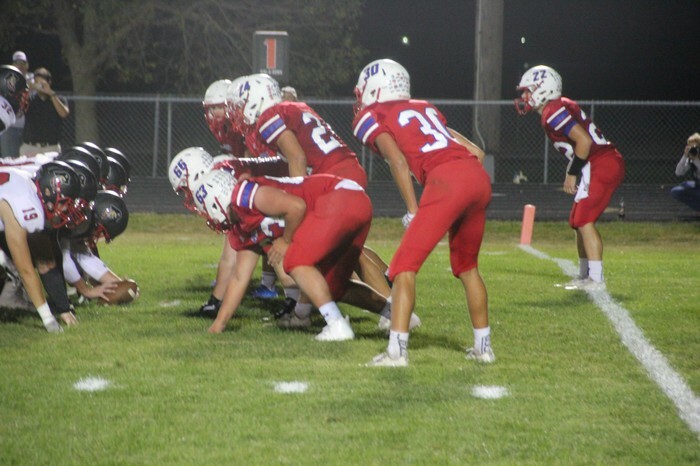 Friday, September 29th's Varsity football game was themed red out to honor the Harrisburg cross country team and their coach after the bus crash that occurred en route to Moberly September 28th. 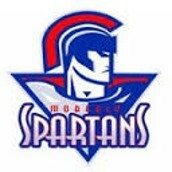 The Spartans faced the Hannibal Pirates and claimed another victory with a final score of Spartans 18, Pirates 13. 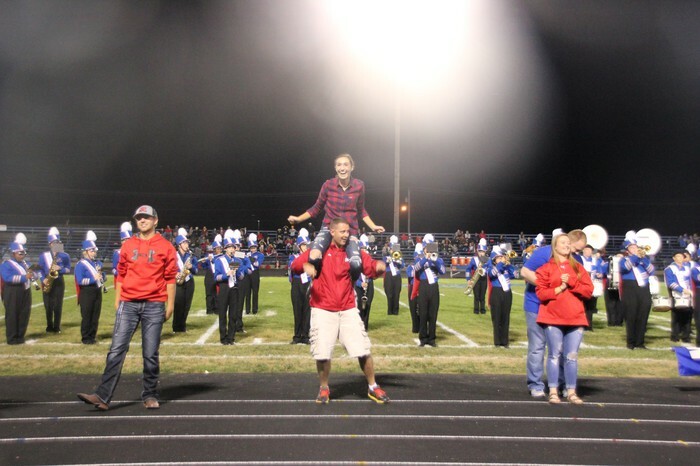 During the amazing half time show performed by the MHS marching band, four staff members as well as Mr. Spartan participated in a dance off. In the end, Ms. Potter was named the winner of the dance off! 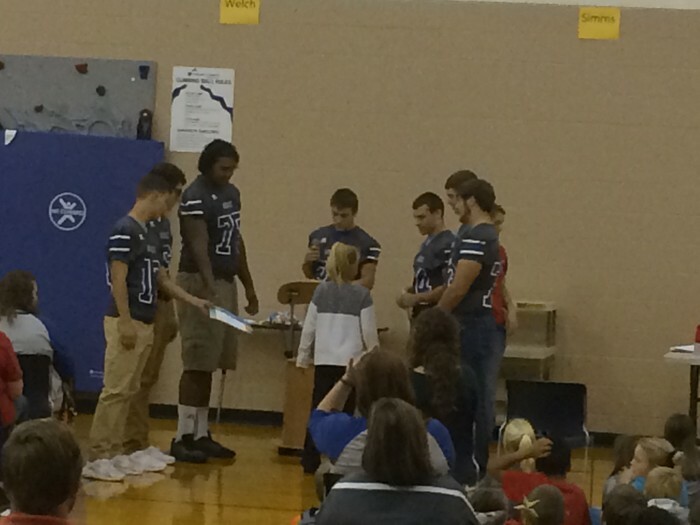 Friday, September 29th, the MHS football team visited GBE to present the terrific kid awards to the students that best showed the positive character trait of respect. 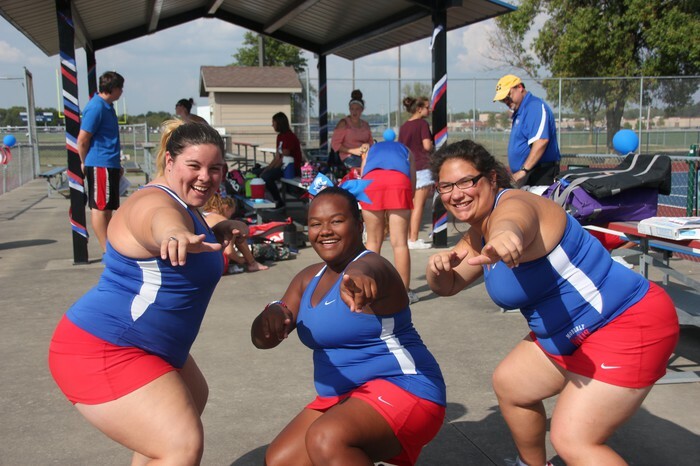 On September 25, the Moberly Girl's Tennis team celebrated the achievement and hard work all senior tennis players put forth throughout their time on the MHS tennis team. The senior girls are Taylor Ludwick, Bailey Lewellen, and Brianna Holder. 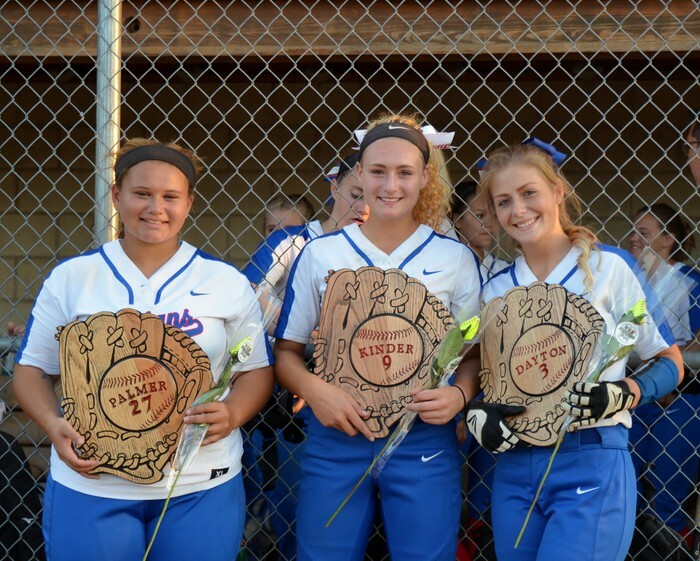 Monday, September 25th, the MHS softball team recognized the performance and dedication of their senior players. The softball team has played hard this season. Pictured (courtesy of Debbie Heimann) are seniors Hannah Palmer, Karrlana Kinder, and Taylar Dayton. Mrs. Hackethal says her year is so far, so good. Her favorite thing about teaching science is interacting with her students and helping them learn. As this year goes on, she hopes to see her kids start to understand more about science and what she teaches. Her biggest goal this year is to simply have the best year possible! 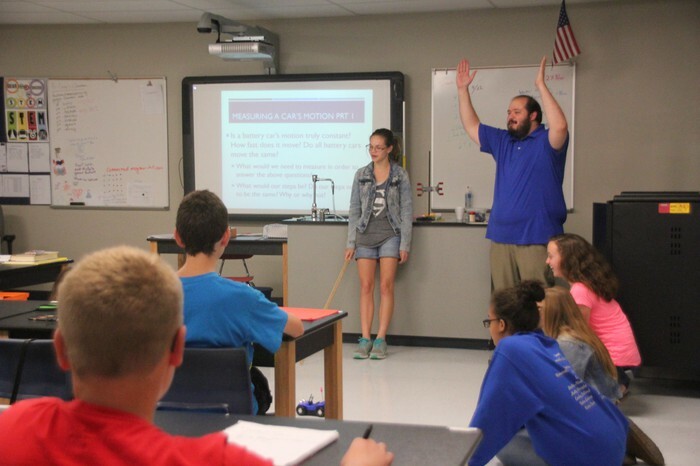 Mr. Linss says his year is going great! He says that he couldn’t ask for better. 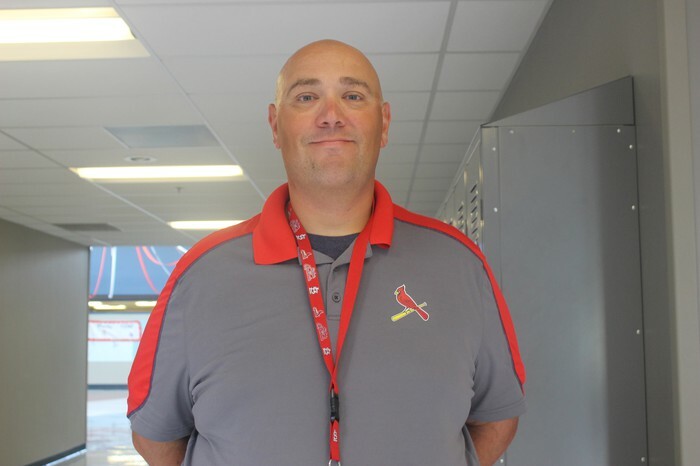 Over the course of this year, he looks forward to getting to know his students better and see them grow as the year progresses. Mr. Leet says his year is so far so good. He says he loves it when he gives his students a new piece of information and it sparks a bunch of new questions. His biggest goal this year is to make it through his first year at MHS and have fun doing it!